Applications are open for candidates wishing to join Stage 1 of the 2018/19 Institute of Masters of Wine Programme. Regarded as the toughest test in wine prospective students must successfully complete an enrolment task. Having just undertaken my Stage 2 exam for the first time I can can certainly testify to its toughness. 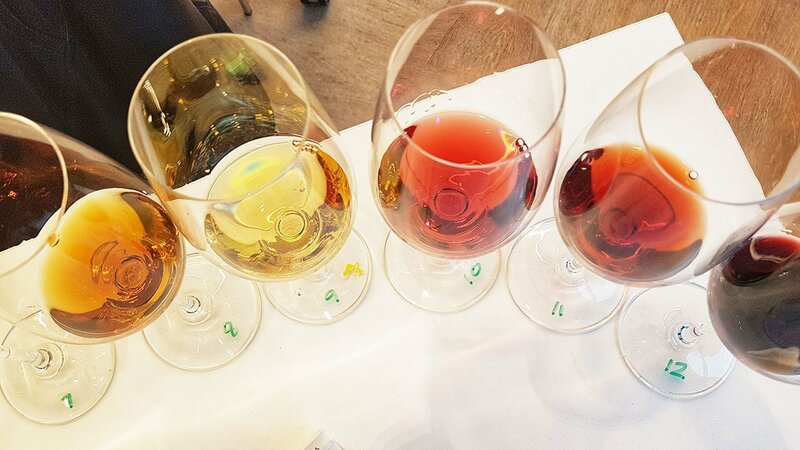 Twenty one hours of exams over four consecutive days in London I made my way through three blind tasting papers and wrote around 18000 words on topics ranging from cover crops and old vines to bulk wine transport. Results will be known in September but this programme is a marathon not a race and I will spend this summer working towards next year’s exam. WSET qualifications remain the best route to joining this programme, candidates who have not taken Level 4 Diploma are at a distinct disadvantage. The chance to learn about the world of wine and being able to successfully communicate your knowledge are highly valuable skills. Please do contact us to find out more about our Wine Academy Italia courses across Italy.